Bharatiya Janata Party (BJP) national president Amit Shah has reportedly been diagnosed with swine flu. The leader is admitted to AIIMS in the national capital. New Delhi: Bharatiya Janata Party (BJP) national president Amit Shah has been diagnosed with swine flu. The leader is admitted to All India Institute of Medical Sciences (AIIMS) in the national capital. The BJP leader was admitted to the hospital following complaints of chest congestion and breathing issues, PTI sources claimed on Wednesday. He is admitted to the old private ward of the hospital and is being treated under the supervision of AIIMS director Randeep Guleria. Home Minister Rajnath Singh spoke to Shah and inquired about his health. He also prayed for his speedy recovery. 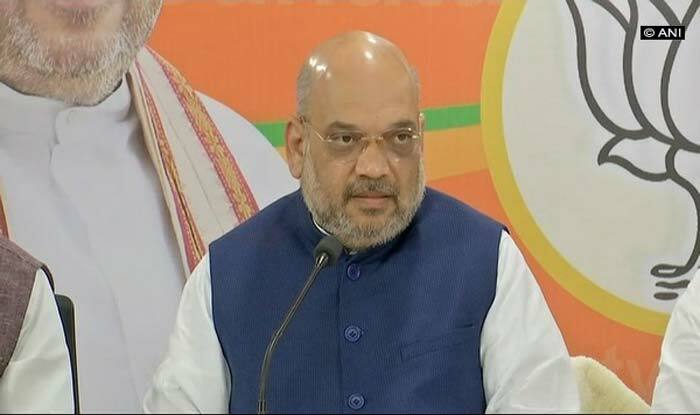 On the political front, the BJP national president is scheduled to kick-start BJP’s campaign for Lok Sabha Elections 2019 in West Bengal with a public meeting on January 20, a day after Chief Minister Mamata Banerjee’s mega show featuring prominent Opposition leaders. “We will start organising our month-long public rallies from January 20. Amit Shah will address the first rally on January 20 in Malda,” West Bengal BJP president Dilip Ghosh was quoted as saying in a PTI report. On January 21, Amit Shah will address two rallies in Suri in Birbhum district and Jhargram. He is slated to address rallies at Krishnanagar in Nadia district and Jaynagar in South 24 Parganas district on January 22. Meanwhile, swine flu on Wednesday claimed one more life in Rajasthan, taking the toll to 39 since January 1. The medical and health department data states that 4,091 people have been tested for swine flu from January 1. Of the total, 971 were diagnosed positive and 39 people have died in the state. While, sixteen deaths were reported from Jodhpur district this year, a total of 1,642 people were examined in Jaipur. Out of these, 378 were found positive and four died.